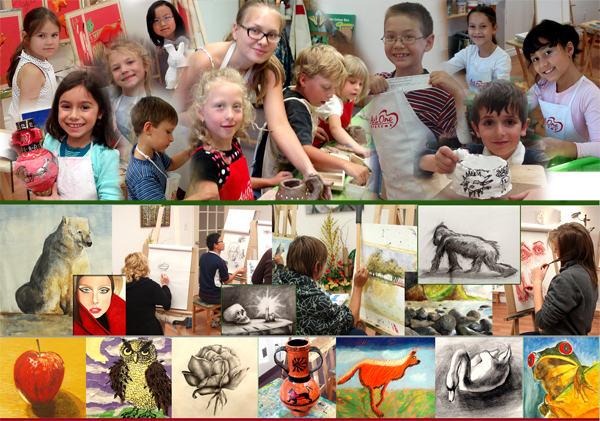 Art One Academy is known for amazing Art Classes, Art Camps and unforgettable Birthday Parties. Our wonderful instructors are all professional artists, chosen for their enthusiasm and ability to teach dynamic, engaging classes with a passion for art. We are dedicated to creating a learning environment in which students are motivated to achieve their full artistic potential. Art One Academy is an innovative, supportive and vibrant art school for students of all ages and abilities. We focus on teaching our students the fundamental basics of fine art so that they are well prepared to take their art to a professional level. We also aim to encourage a deep understanding of, and appreciation for, all aspects of the art world. Class sizes are somewhat beetween 4 to 8 students per teacher depending on the age – this means that students will always receive attention and individual guidance from their teachers. Art One Academy is committed to providing a friendly environment in which freedom of expression and creativity can thrive. Students of all levels are given direction and assistance with artistic technique, while also receiving the encouragement to develop their own personal style as an artist. A wide range of career opportunities exist for students who are dedicated and serious about their art studies. 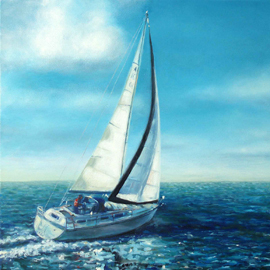 These range from classical artistic ventures to architecture to computer graphics design. Whatever a student´s artistic ambition may be, the Art One Academy is committed to helping them to contribute to the art world.